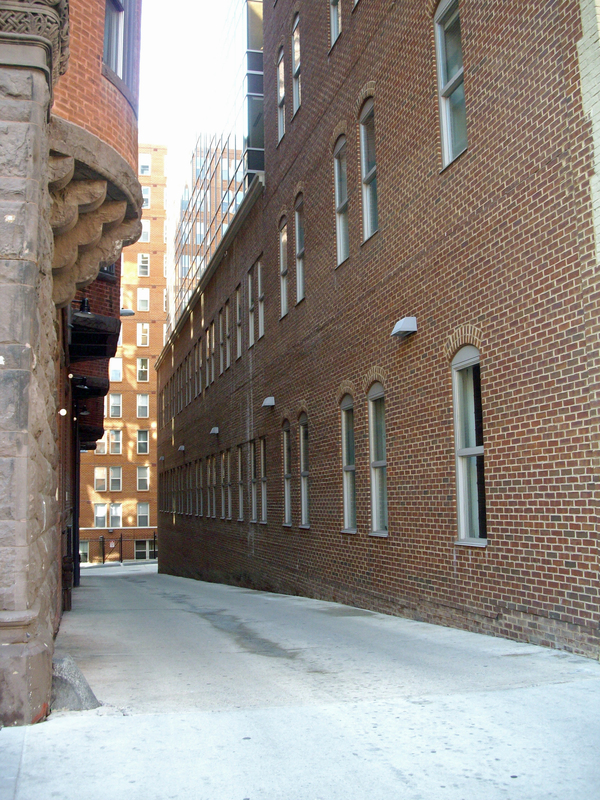 I’ve seen several tours of the Lincoln assassination as well as the one I give and one spot that’s often overlooked is Baptist Alley. 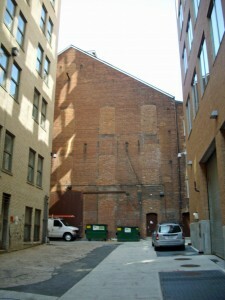 It’s the rear of Ford’s Theatre where assassin John Wilkes Booth entered and exited. The alley to the theater is called Baptist Alley because the theater was originally a Baptist church. I don’t know of a tour that goes behind the theater aside mine. And, I only do it during the day. It seems like a security risk at night even though it’s very clean and essentially a bunch of office buildings surrounding the alley. But, you just can’t take a chance in the dark. I have no problem walking it during the day, though. The rear wall shown above is the original wall. You can see a lot of changes by windows now bricked up. But, the doorway that Booth used is still there. Pretty cool. The alley during the April 13, 1865 assassination was bordered by stables and shanty tents. Remember this was still the Civil War and not enough housing for the huge influx of people in the town. Booth could pass through it without notice, especially since he was a theater regular. To reach the alley from Ford’s, walk up to F St., turn right, walk about a half block and you’ll see the entrance shown right. Just follow the alley to the rear. 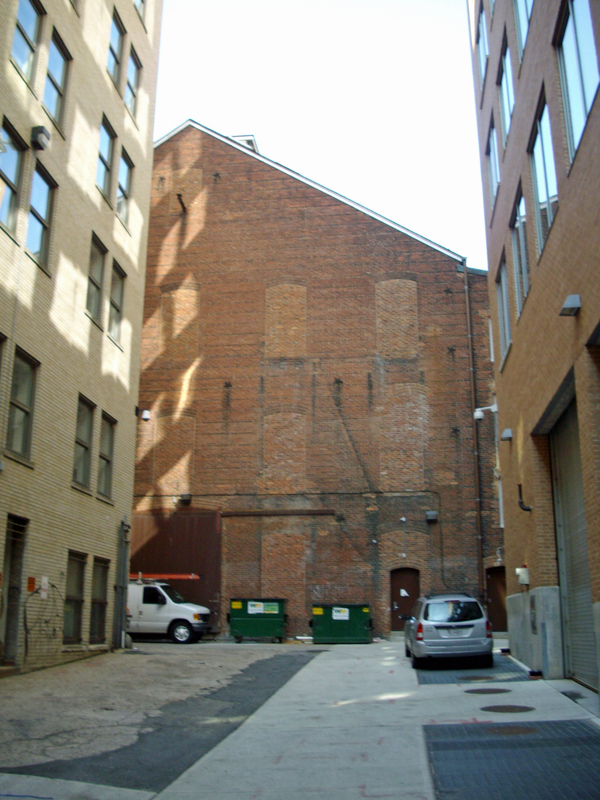 This entry was posted in On the Trail of John Wilkes Booth and tagged Abraham Lincoln, assassination, Baptist Alley, best DC walking tours, Best Lincoln walking tours, Ford's Theatre, John Wilkes Booth, Photo by Rick Snider, Washington D.C.. Bookmark the permalink.